We7 is an online music streaming service that I use a lot. Its easier than Spotify as it does not require any desktop software, running straight from the web browser via a built in flash player. 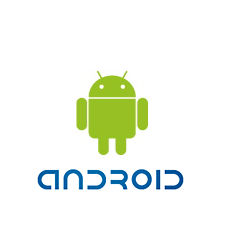 We7 provide an Android app which I had tried on my old G1 phone, but found it to be a bit unreliable so I did not continue it beyond the free trial period. Having recently bought an HTC Dream HD with Android 2.2 and a functional flash player I wondered if the flash functionality in Android 2.2 would be enough to let me use We7 without the app. I visited the We7 web site and entered an artist name into the radio player. It played correctly. I then tried logging into my account and this worked too. I could see my play lists and found that they play correctly. However, after bookmarking my playlists I found that We7 substitutes the real page address with a referral URL taking you to a subscription sign up page if you go back to the bookmark. The best way to get round this and make links that are easy to go back to is to go to any playlist or album page, copy the share link provided on the page and email it back to yourself. Clicking on it from the email will take you straight to it. Alternatively you could add the URL to a Google Docs file or add it as a direct bookmark in the browser. Although this avoids the need for the Android application or paying a subscription it does mean that all your music will require bandwidth. The Android app, on the other hand, works by storing previously listened tracks on the SD card so it will use a lot less bandwidth. Also the browser/flash player will probably use more battery. For light use, though, its a good solution. Is speaking in tongues real? My BMW Mini review - one year on.